Is Hillingdon council leader Ray Puddifoot calling Boris Johnson a liar? Freedom of Information requests by Mr Duffin had revealed that Hillingdon Council had spent £8435.54 for on line advertising in financial year 2013/14 to add to the nearly £100,000 spent on their promotional magazine ‘Hillingdon People’ in the same period. UKIP policy in Hillingdon is to scrap the magazine and redirect that money to front line services including Policing. In reply to Mr Puddifoot’s statement, Jack Duffin said, “ If the council is not responsible for Police budgets, then why did Boris Johnson state in his 2012 Mayoral campaign that for every extra police officer funded by a local authority he would match that in a ‘buy one, get one free’ offer from the Greater London Authority (GLA)? Indeed, Boris stated in the document ‘Fighting Crime in London’ that twelve London Boroughs, including neighbouring Harrow, had taken him up on the offer. A freedom of information request submitted by UKIP Parliamentary candidate Jack Duffin has revealed that Hillingdon Council are spending further taxpayers money on propaganda rather than services. It reveals that £8435.54 was spent in 2013/14 on social media, with spend to date in the current financial year at £6389.07. 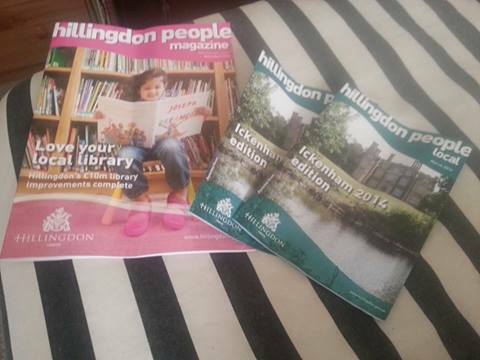 UKIP would axe the Hillingdon People magazine and redirect this cash in to front line services such as extra Police officers, street cleaning and the NHS, whilst encouraging more interaction by local councillors with their constituents and engagement with local media outlets to get information out.